This is powerboating at the highest, most eye-watering level imaginable. 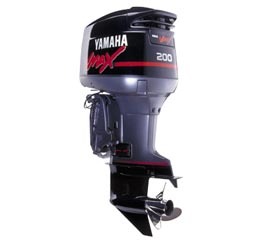 Yamaha delivers a whole world of water-borne excitement and comfort. These smooth, swift V6 models define a new breed of 2-stroke that easily clears strict EPA 2006 emission standards without sacrificing any of the pure performance you need from an outboard. Our digital multi-funtion gauges with comprehensive warning systems monitor all vital engine functions to keep you in charge all the way.